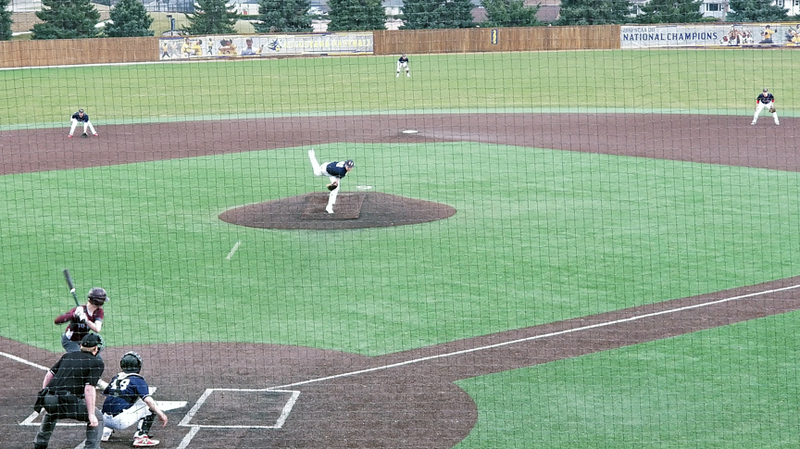 Playing in their fourth game of the season, all at Ronken Field on the campus of Augustana University, the Dell Rapids HS Club baseball team won their third game of the year. Dell Rapids defeated Tri-Valley 7-3 on Monday, April 15th. Despite allowing three runs to Tri-Valley on no hits, Dell Rapids rallied for four runs in the bottom of the sixth inning to earn the victory. Mason Mathieu drew a lead-off walk to start the game and scored on a wild pitch to give Tri-Valley an early 1-0 lead. Dell Rapids tied the game in the bottom of the first. Eddie Price started the inning with a single and scored on a wild pitch to even the score at 1-1. Tri-Valley regained the lead in the top of the third. Mathieu was hit by a pitch and scored on an error on a ball in play by Lane Egger. Egger scored later in the inning on a wild pitch for a 3-1 lead. Dell Rapids again tied the game in the bottom of the inning. Thane Hilmoe led the inning with a single. Courtesy runner Kaeden Eastman scored on an RBI double by Price. Price scored on an RBI single by Jay Holm to tie the game at 3-3. Dell Rapids broke the tie in the bottom of the sixth inning. Keegan Miller started things with a double. Miller later scored on a ground ball by Logan Stone, who reached on an error. Charlie Holm scored on that same error to push the lead to 5-3. Mason Goeken drew a two-out walk, and Price added two more runs for Dell Rapids on a two-run double scoring Stone and Goeken. Price finished the game going 3-4 from the plate with three RBIs and two runs scored. J. Holm, Miller, Jake Rechtenbaugh, Stone, and Hilmoe all collected hits. Stone and J. Holm both had an RBI. Ty Wood started the game on the mound pitching four innings giving up three runs, one earned, on no hits with three walks and six strikeouts. Austin Henry took the win pitching three innings giving up no runs and no hits with eight strikeouts. The Dell Rapids JV team fell to Tri-Valley 9-6. 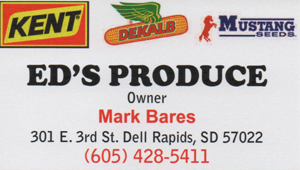 Dell Rapids (3-1) will travel to Dakota Valley High School on Thursday, April 18th for a game against Baltic. This will be a varsity only game.